in the 19th century, a group of people tried to establish a utopian transcendentalist socialist farm in our town. apparently, louisa may alcott used her experience there as an inspiration for “Little Women”! it is a town originally based on agriculture, the history now seen in all the apple orchards. we are lucky to live on a little slice of this. i’ve learned bits and pieces about the history of our property, and sometimes i imagine stories about this home we rent, that was built in the mid-1800’s. 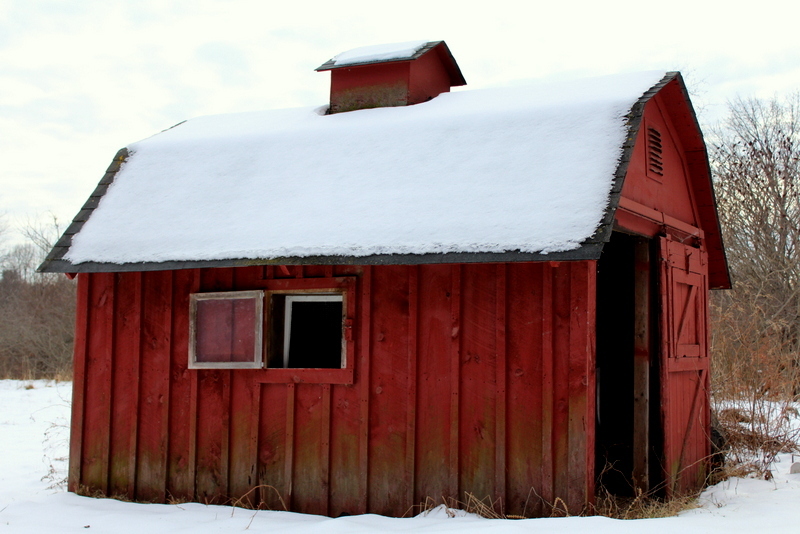 there are a few little sheds in the orchard. this one is my favorite.